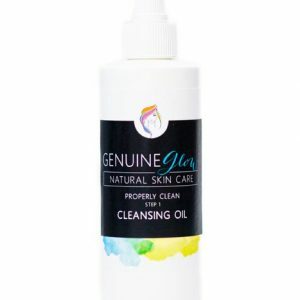 Loaded with antioxidants, minerals and nutrient-rich botanicals, our Herbal Fusion Cleansing Gel is gentle enough for everyday use, but powerful enough to make a noticeable and sustainable difference. 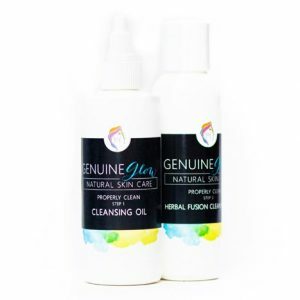 Stimulating circulation through high amounts of Iron, Potassium, Vitamins A, B1, B2, B12, E, F, K, Calcium and Sulfur, this Cleansing Gel gives your skin every nutrient it needs to reveal new and glowing skin. This product is the Cleansing Gel only. You may purchase the dual cleansing system here. This is a light face wash…really, really like it. Very gentle. A little goes a long way. You really only need about a dime size of product to wash your whole face. It foams up really quickly and washes my face clean. Herbal Fusion is a really cool face wash. It’s different from what I’m used to b/c it feels very light, soft and clean. 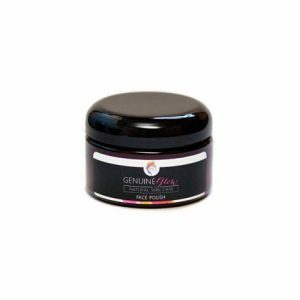 I’ve read some reviews about how clean Genuine Glow products feel and I definitely agree. The products have a different feel and texture than other products…which I really like. This face wash is no exception. Really top not face wash. 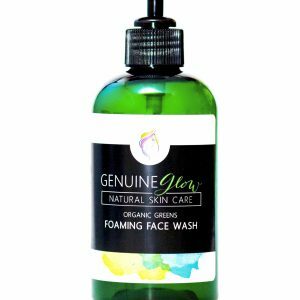 I just started using this Herbal Fusion face wash. It’s so light and you need so little to clean your entire face. The first time I used it, I overdid it b/c I was used to having to use more product to get clean. But you only need a nickel size amount to wash your whole face. Foams up and cleans entirely. My face looks so bright and happy after only one use. It has a really light smell…can’t tell what it is, but it smells fresh.